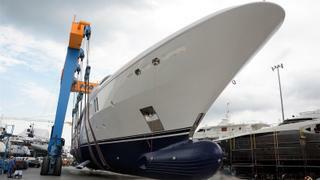 The 57 metre motor yacht O’Mathilde has been launched by Golden Yachts. 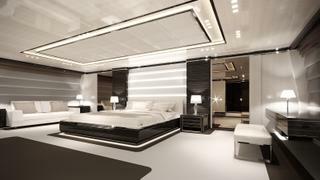 This steel-hulled tri-deck yacht will feature interiors by Studio Vafiadis, a 9.2 metre beam and a maximum draught of 2.8 metres. Accommodation is for up to 14 guests split between seven staterooms, including an upper deck owner’s cabin facing aft that covers a total area of 70 square metres. The main deck offers a VIP suite and twin cabin, while three doubles and a further twin on the lower deck complete the guest layout. Situated forward, the crew quarters allows for a staff of up to 12 people. Back aft, the garage is large enough for a six metre tender and a pair of Jet Skis and a vast array of water toys. 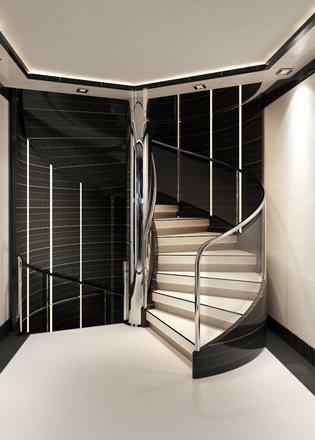 Standout features include a Jacuzzi on the superyacht sundeck and a foredeck gym offering stunning sea views. Moving inside and the spacious main deck dining area allows all 14 guests to enjoy a meal together. Al fresco dining for 14 is offered on the upper deck aft. Power will come from a pair of 2,365hp Caterpillar C32 ACERT diesel engines for a top speed of 17 knots. Cruising is possible at 14.5 knots and when trimmed back to her economical speed of 12 knots, O’Mathilde will offer a transatlantic range of 4,000 nautical miles. She has zero-speed stabilisers for a comfortable ride. 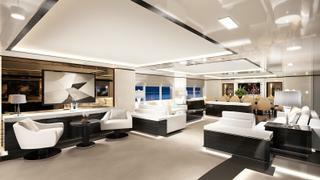 O'Mathilde follows on the heels of the launch of Golden Yachts' 85 metre flagship O'Ptasia. Both O'Mathilde and O‘Ptasia are available for charter and nearly fully booked for summer 2018, reports Popy Kaia, charter director at Atalanta Golden Yachts.